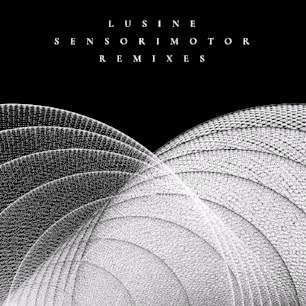 In spring of 2017, Texas-raised/Seattle-based producer Jeff McIlwain aka Lusine released Sensorimotor, his fourth full-length with Ghostly International. A pulsing, visceral listen comprised of widescreen synths, processed vocals, and organic instrumentation, the album explores the intersection between the brain’s perceptions and the body’s actions. Sensorimotor Remixes presents two distinctly new and contrasting modes to consider. “Chatter,” discreet in its original form, receives a resplendent house edit from esteemed UK producer Dauwd. “Tropopause,” already atmospheric by nature and namesake, is diffused to an overcast drone by Loscil, a trademark treatment from the Vancouver-based ambient-dub veteran.